Gift a jumper, warm a soul! The purpose of this initiative is to help people who can not provide a warm sweatshirt in this cold winter. We intend to collect a considerable number , and then distribute them through the city's trees where every person who needs one can get it. Anyone can contribute to the donation of a jumper, and so they will be warm them this winter. The value of using jumbo donations is greater than it may appear at first glance. The recognition is very wide, from the individual, to the community, and to the environment. By donating used jumpers, you are helping others who are perhaps less happy to feel better. 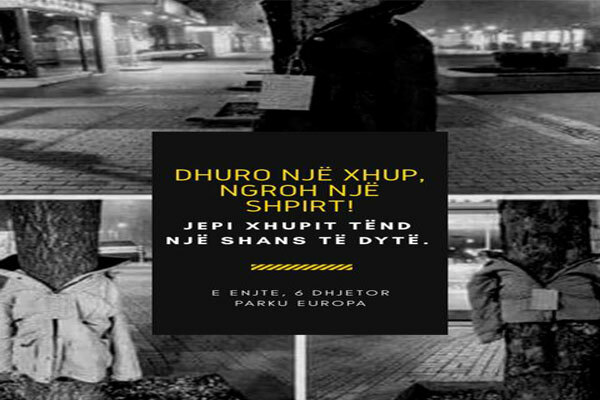 This initiative has been made before and in some other European countries and we thought we would bring it to Albania as well. We hope that everyone who sees this will join us.